A sprite-based 2D beat-em-up based on a 3D fighter that never saw release in the West seems like a stretch, but Phantom Breaker Battle Grounds on Xbox Live Arcade turned out far better than anyone could have expected. The presentation was fantastic, the gameplay was fun and surprisingly deep, and the sheer amount of content made it a sleeper hit among beat-em-up fans. The game gets even better on PlayStation 4, though, with Phantom Breaker Battle Grounds Overdrive which features even more enemies onscreen to fight through and quite a bit of new content. 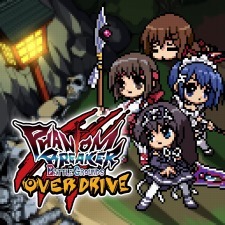 I loved Phantom Breaker Battle Grounds on XBLA and like it just as much on PS4. See our full review for details. 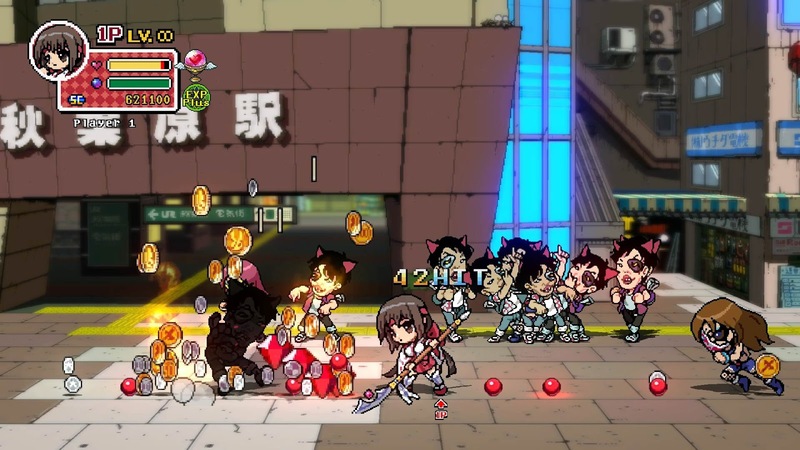 Phantom Breaker Battle Grounds is a 2D beat-em-up featuring cute little chibi versions of anime girls fighting through waves of enemies around Tokyo before being transported to a demon world to do … something. I guess? It’s not important, anyway. The story is nonsensical gibberish. The important part is playing as a cast of cute anime girls. The base game is $15 but you can also buy a couple of DLC packs that add Kurisu from “Steins:Gate” (and ups the level cap from 50-99) and Frau Koujiro from “ROBOTICS:NOTES” as playable characters. I’m all for adding characters, but I’m not a fan of locking the increase in level cap behind DLC. To get the most out of the game the extra $5 for Kurisu isn’t really optional. You HAVE to buy it to bump up the level cap, which you’ll want to do because the game is genuinely fun and rewarding enough you’ll want to keep playing. 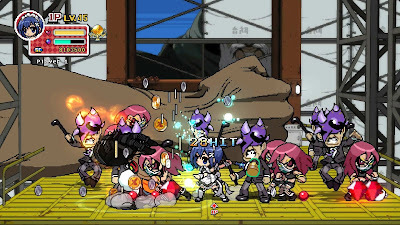 The core gameplay in Phantom Breaker Battle Grounds is interesting because it actually plays more like a fighting game than a typical 2D beat-em-up. You can unlock a ton of combos and special moves and the controller inputs are just like you’d expect in a fighting game. This gives the game a lot of depth and makes it a ton of fun to play, particularly because you can customize your characters’ moves and abilities to suit your playstyle. Each character is also pretty distinct with their own unique weapons and fighting styles, which make them all play pretty differently. Some are more fun to play than others, but having so many to choose from gives the game a surprising amount of longevity. I think it has to be noted that the game is kind of slow and grindy at first. You start off with basically no moves and aren’t very powerful and it takes a while to level up and really open the game up. Once you get over the hump, however, and start getting to the powerful moves and abilities, Phantom Breaker Battle Grounds can be incredibly addictive. In addition to the story mode there is also an arcade mode and even a PVP battle mode (it was a fighting game originally, after all). There are multiple difficulty levels, too, which offer much greater rewards at the higher levels but also present a much greater challenge. You really do get hooked on playing through it again and again and again and then you start it all over with a new character. It only takes around 30-minutes (a little longer on harder difficulties) to play through all of the levels, but that is part of what makes it so fun and addictive. The game also features 4-player co-op, both locally and online, and is a total blast. The Overdrive release of Phantom Breaker Battle Grounds is mostly the same as the XBLA version, but there is quite a bit of new stuff, too. There are many more enemies onscreen at once, for one thing, but also new skills and abilities to choose from when you level up and even some alternate paths through the levels. I played a TON of the XBLA version but got hooked on the PS4 version just as fast, which is a good indicator of how fun the game really can be. The presentation in Phantom Breaker Battle Grounds Overdrive is fantastic overall. It uses an oldschool pixilated sprite-based style that simply looks fantastic. The sound is similarly oldschool with nostalgic bleeps and bloops and a truly incredible soundtrack. All in all, I freaking love Phantom Breaker Battle Grounds and the Overdrive release on PS4 is just as great as it was back on the Xbox 360. 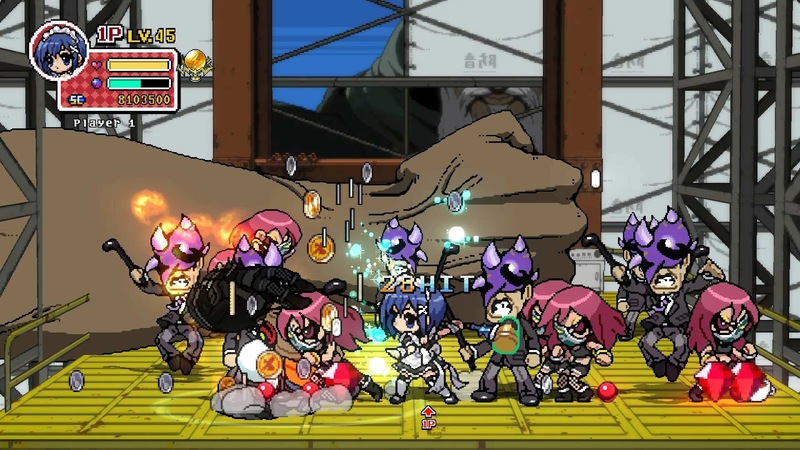 The gameplay is so solid, the character progression so satisfying, and the presentation so pixel perfect that it is absolutely one of my favorite 2D beat-em-ups and one of the great under appreciated gems of the last several years. It does start off a little slow, but if you give it enough time you’ll love it. 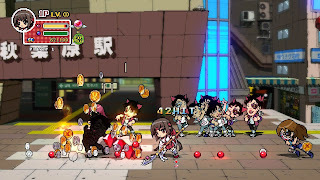 If you love 2D beat-em-ups, great co-op, and cute anime girls, Phantom Breaker Battle Grounds Overdrive is well worth a look.